Shikha Malaviya considers herself a morpher, having been born in the U.K. and raised in the U.S. and India. She is founder of The (Great) Indian Poetry Project, an initiative to document, preserve and promote the legacy of modern Indian poetry. Her book of poems, Geography of Tongues, was launched in December 2013. Shikha is deeply involved in the poetry community through events/initiatives such as organizing ‘100 Thousand Poets for Change—Bangalore’ in 2012 and 2013; co-founding ‘Poetry in Public India,’ a movement to bring powerful verse by Indian women to public places across India; and giving a TEDx talk on ‘Poetry in Daily Life’ at TEDx Golf Links Park, Bangalore, 2013. Shikha’s poetry has been nominated for the Pushcart Prize. 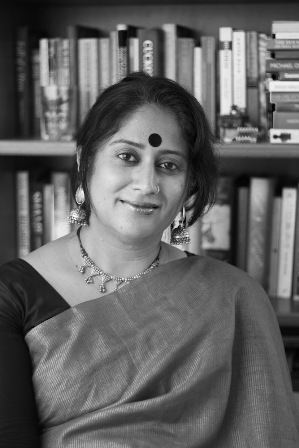 She also founded Monsoon Magazine, the first South Asian literary magazine on the web. Shikha graduated from the University of Minnesota with BA and MA degrees in creative writing, mass communications and liberal studies. NAW- Tell us about your debut work, Geography of Tongues? What is it about? What is the central theme? How long did you take to finish the collection? Geography of Tongues is an autobiographical journey through poetry, traversing continents, cultures and the idea of finding one’s self, through family and the greater world. The poems are a fusion of East and West, from the years I’ve lived in England, India and the United States. The central theme, I suppose, is that there is no one thing that makes us who we are, but rather an amalgamation of our environment, family, and what we consciously choose to make our own, be it language, land or a cultural/religious belief. My hope is that I have succeeded in touching upon the universal, through a narration of the personal. This collection was 10 years in the making, as along the way motherhood happened. NAW- How did you decide the title? 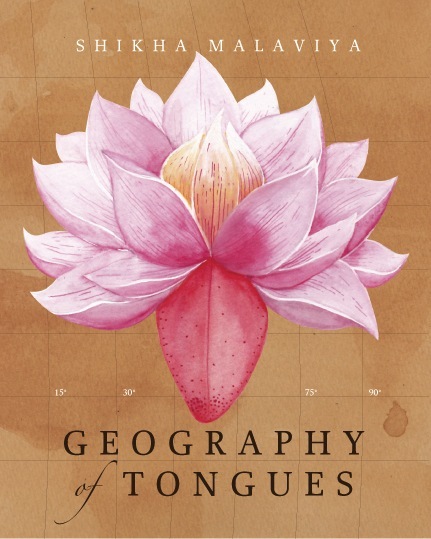 Quite a few of my poems in Geography of Tongues refer to the ‘tongue’ in different contexts: sometimes the tongue is negotiating languages or communicating, sometimes it is tasting or holding experiences and sometimes it is sticking its tongue out in defiance or teasing the reader. Many years ago, I read in a book about how babies learnt about the world by putting everything in their mouths and tasting it. That thought was so powerful and stayed with me. As I was finishing this book, the name Geography of Tongues suddenly popped into my head and after that the title poem that encapsulates the essence of the whole collection wrote itself. It was very instinctive. NAW- For how long have you been dabbling in the art? What is your inspiration? I’ve been a poet for the past 20 years, although the seeds were planted in my childhood. My parents loved books and would constantly buy books for us and take us to the library and book sales. One day my mother handed me a copy of ‘The Prophet,’ by Kahlil Gibran and I was transported to another world. After that, there was no looking back. I worked my way up from the rhythms and rhymes of Dr. Suess and Shel Silverstein to the mind blowing metaphors and similes of Pablo Neruda, the quiet power of Lucille Clifton and Rita Dove, the imagery of William Carlos Williams and countless others. The beauty of poetry is that there is always something new to learn, a new way to express one’s self. Also, my paternal grandfather was a poet who wrote in Hindi. So there is that beautiful notion of poetry being genetically passed down. NAW- Which genres do you adopt, free verse or do you write by the metre? I am definitely a free verse gal, but I also love prose poetry, as through it, you can tell a story poetically, a flash fiction of sorts. While I really respect meter and form, I love the freedom of not having to adhere to certain rules. However, free verse also has its parameters. There are stanzas that frame everything and within freeverse, the opportunity to play with the language through alliteration, internal rhymes, etc. So, in my opinion, the notion of free verse is a bit deceptive. I am also fascinated by line breaks and the white space between words and hope to play around with that more in future poems. NAW- Please name your favourite poets. Is there any who you’d like to name as an inspiration? This is always a tough question for poets, as our inspirations are far and wide and it just isn’t fair to name a few. Having said that, here are some poets whose work has moved me: Pablo Neruda, Federico Garcia Lorca, T.S. Eliot, William Carlos Williams, Elizabeth Bishop, Arun kolatkar, Adrienne Rich, Kabir Das, Carolyn Forche`, Gwendolyn Brooks, Richard Blanco and many, many more! NAW- We have an in house poet and unfortunately after trying for three years to get his collection published, he’s penning down a novel which remarkably has found a publisher even before its finished. This is unfortunately, the reality of the literary world and we feel that poetry has very few takers. So why did you pursue it? And how do you plan to take it to the masses? I’m so sorry your inhouse poet had to go through this, but the truth is that publishers just don’t find poetry as commercially viable as other genres. But only we can change that through reading, writing and appreciating more poetry. Despite a much smaller audience, I feel poetry has a much more loyal and appreciative following. In this day and age, poetry can be just as powerful a tool as a tweet or a text message, conveying so much within the confines of a line/stanza. Unfortunately, poetry has a bum rap for being too abstract, esoteric or intellectual. My dream is to break through that image/stereotype by writing poems that are accessible and to bring other such poets to the forefront. Poets like Maya Angelou have broken that mold, thankfully. Why poetry? I’m not sure. In a sense, I feel poetry has chosen me. I like being able to condense emotions and experiences into a smaller framework, to take snapshots with words and write something that can be read and digested within a few minutes. Poetry is portable and malleable, unlike other literary genres. Through organizing readings and poetry events such as 100 Thousand Poets for Change, as well as teaching poetry workshops, building a poetry archive and running a literary press with other poets, I hope to illustrate that poetry is one of the most powerful forms of expression as well as a unifying force. NAW- Tell us about the Indian Poetry Collective? How did you get the idea for it? Every poet knows how difficult it is to get published and find a home for their poems. In India, where there are no formal creative writing programs and only a few presses that support poetry, we (Minal Hajratwala, Ellen Kombiyil and I) decided there needed to be a space where poets could have creative control over their work and mentor incoming poets as well. The (Great) Indian Poetry Collective was formed with the intention to give new Indian poetic voices such a platform. The idea of a literary press had been stewing in my mind for many years, when in 2012, I read an article about an old Indian poet who feared all of his manuscripts would be thrown into the recycling bin after he passed away. It really moved me and I felt here was our poetic legacy slipping. Very shortly after that, I came across the poetry of Gopal Honnelgere, a brilliant Indian poet in English, who died in obscurity. This was inspiration enough to think about building an archive and creating a home for future manuscripts as well. NAW- Where can readers find your book? NAW- Tell us about yourself. What do you do when you are not writing? When I’m not writing, I’m reading or else dreaming of writing or contemplating a PhD. I imagine myself as an eternal student. I also like doing up interiors in my head. I’m very fond of art & architecture. I’m also very passionate about food, music (jazz, 80s pop, Indian classical), clothing, especially textures and weaves, and silver jewelry. But most of all, I love spending time with my family and feel my children are growing up way too fast! Writing affords me the flexibility to pursue many thinngs at once and have them all be part of the process! I’m working on my second book of poems, which is more dark, contemplative and metaphysical, exploring violence, love and present day society. I’m also looking to develop my Indian poetry archive in a big way. The (Great) Indian Poetry Collective is also growing and we are very excited about our second book, Bountiful Instructions for Enlightenment, by Minal Hajratwala, which will be coming out later this summer.